What should you do when you receive a fundraising call from a charity? At one time it was fairly common for charities to negotiate a percentage arrangement with a third party call center, also known as a paid fundraiser, where a fixed percentage of every gift was used to pay the call center and the rest went to the charity. 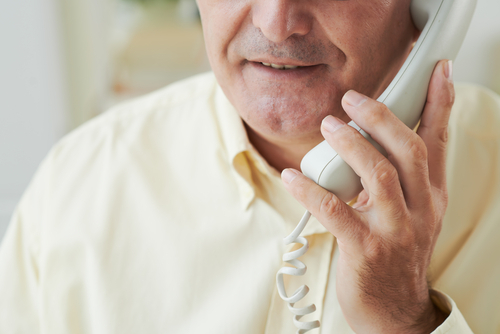 These days, charities may opt for a more straightforward payment per call or per hour. This allows them to manage their expense budgets, and ensures that well performing campaigns drive more money to the charity. Once the base costs for time and services are paid (the same costs the charity would pay if their own staff were doing all the calling), every dollar donated is profit to support the charity’s programmatic work. To start to understand a charity’s finances, ask what percentage the organization spends on its programs (mission) overall. The calling campaign is only one aspect of a much larger fundraising plan, so asking only for the costs of that campaign is not going to give you an accurate understanding of the charity’s financial management. You can also visit Charity Navigator for the financials of the 8,000 charities we rate, along with the charity’s accountability and transparency practices. Even if you like what you are hearing about the charity’s work, we strongly recommend that you do your due diligence to research any charity before you give. Begin by checking to see if the charity is one of several thousand that Charity Navigator rates. Our ratings clearly indicate of a charity is spending too much money on fundraising, as is the case with the charities on this list. You will also find plenty of great charities that need your support and are good stewards of your funding. If the charity is listed among the ‘unrated organizations’ on our site, then follow our tips to determine if the charity is worth your investment. If you do not answer the phone when a charity calls, they will assume that you are not home or not available and they will try to reach you at another time that is more convenient. This means that if you are screening your calls with a caller ID service, you could see the same charity trying to reach you multiple times during their fundraising campaign period. If you have no interest in giving, the most expedient way to stop the calls is to actually answer the phone, politely say no, and ask to be removed from their calling for the remainder of this campaign, or permanently. It’s always your choice whether to give your credit card number over the phone. If you are at all apprehensive or want time to research and consider how much you want to give, you can ask to have a mailer or email sent to you. You can then give in the way that is most comfortable to you, whether by mailing back a check or going to the organization’s website to give with your credit card. A pledged amount on the phone is only that -- a pledge. It helps the charity know what to potentially expect for their budgeting purposes, but it is not a firm commitment on your part. You can still choose to give less or more, or not at all. You should never be pressured to give your bank account information, or asked for anything more personal than confirmation of your mailing address. Beware of "sound alike" organizations that have names similar to responsible, reputable charities. Don't be swayed merely by a benevolent-sounding name. You should give to organizations you know and trust. The National Do Not Call Registry does not apply to charities. However, charities must honor your specific request to be placed on their own do not call lists. If you receive a call from a third-party telemarketer on behalf of a charity, you can ask to be placed on that firm’s do not call list as well. Remember that you have the right to end the phone call whenever you wish. Donating to a charity should make you feel good! Some people enjoy the convenience of phone and the conversation with a real person when they give to charities they’re familiar with and want to continue to support. But if phone is not your giving channel of choice, or if you are not confident about who is calling, then you should ask for more information, or politely decline, hang up, and visit Charity Navigator to research the charity. If it checks out, you can donate to the charity in the way that best suits your giving preferences.